If any of you missed out on that sold-out Club Monaco striped dress featured a few weeks ago--or you're simply just hankering for more striped cuteness, consider this leather-pocketed, zipper-trimmed number by Whistles. It's a good one! Great find, love that dress. so adorable! 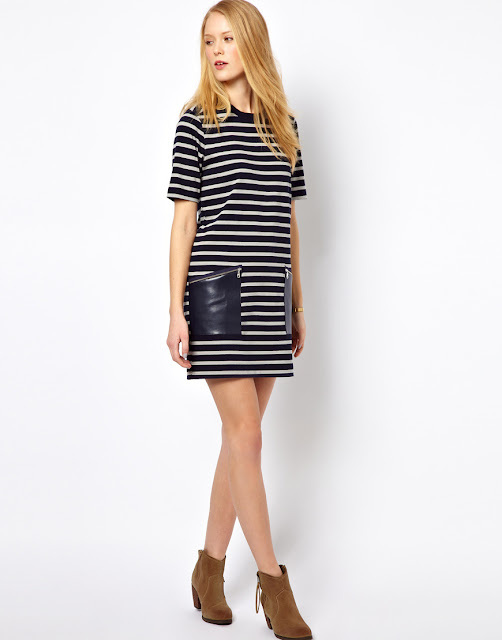 i love the asymmetry of the leather pockets with the stripes on the dress. I want this dress. Leather and pockets- yes please!